Rehoboth Beach, Del. (May 16, 2017) – Summer is ready to heat up at Delaware Seashore State Park with brand new beach umbrellas and the grand opening of the Big Chill Beach Club. Dover, Del. (May 10, 2017) – The newest edition of Delaware’s statewide travel guide will help people coming to Delaware plan their best visit yet. Newark, Del. 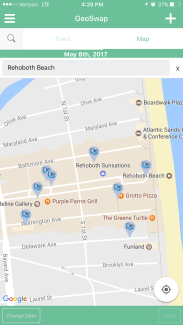 (May 9, 2017) – It is now easier than ever before for Delaware visitors and residents to find nearby fun events and activities year-round.